The Nature Conservancy (TNC) convened a two-day workshop entitled Climate Change Adaptation Workshop for Natural Resource Managers in the Gunnison Basin on December 2-3, 2009 in Gunnison, Colorado. The goal of the workshop was to identify management strategies that will help native plants, animals and ecosystems adapt to a changing climate and lay the groundwork for their implementation in the Gunnison Basin. Fifty-seven representatives of 20 state and federal agencies, local governments, academic institutions, and non-governmental organizations participated. Provide background information on climate change as it applies to the Gunnison Basin. Introduce a framework for landscape-scale climate change adaptation planning for use at this workshop and as a tool that can be used in other landscapes. Assess the impacts of climate change on a set of high-priority species, ecosystems and natural processes selected by workshop organizers and participants. Identify strategic actions that will reduce climate change impacts. Identify opportunities for ongoing learning, collaboration, and implementation of on-the-ground climate change adaptation projects in the Gunnison Basin. 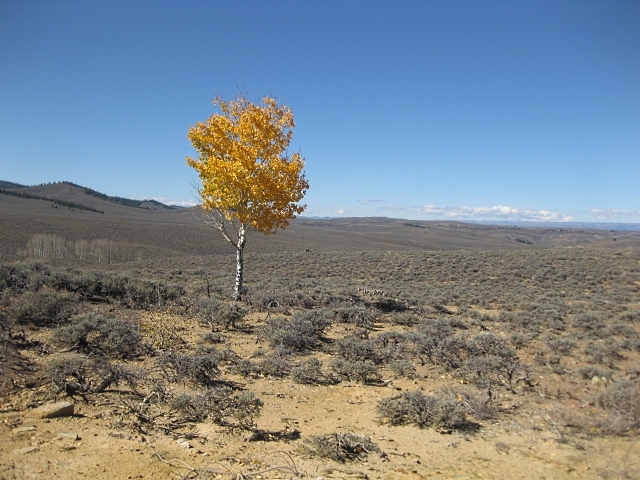 Over the course of two days, managers, scientists and conservation practitioners identified adaptation strategies under two climate change scenarios – one moderate, and one more extreme – for three conservation features: Gunnison Sage-grouse, Gunnison headwaters, and alpine wetlands ecosystem. A shared understanding of the known current and potential future effects of climate change, through development of conceptual models, on Gunnison Sage-grouse, Gunnison headwaters, and alpine wetlands. Set of strategic actions that can be implemented to promote resilience and realignment of Gunnison Sage-grouse, Gunnison headwaters and alpine wetlands in the face of climate change. A list of opportunities to implement the identified strategic actions successfully. A list of research and monitoring needs for climate adaptation in the Gunnison Basin for the Gunnison Sage-grouse, Gunnison headwaters, and alpine wetlands. Recognition among participants of the urgent need to take action to prepare for a changing climate. A list of recommended next steps to be taken by natural resource managers of the Gunnison Basin.